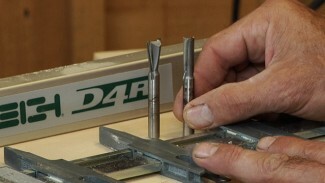 Dado joints are a powerful way to hold shelves and other cabinet carcase components securely. These joints are relatively easy to execute, and due to their effectiveness and efficiency they are a mainstay in many cabinet shops. 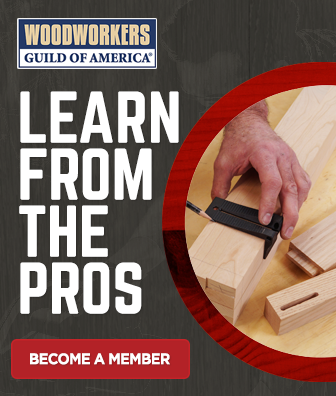 Most stacked dado sets include multiple chipper sizes, commonly 1/16” and 1/8”, to give you some flexibility in setting up for the right size for your dados. It’s important to establish a snug fit for your dados, however, and the typical chipper sizes do not provide enough flexibility to dial in the fit for many of today’s oddball plywood thicknesses. Therefore, you need a solution to fill in the gaps between the sizes that are accommodated by your stacked dado set. The approach that is most commonly used is to use dado shims that are milled to specific thicknesses, and install the right combination of shims to match the thickness of your plywood. 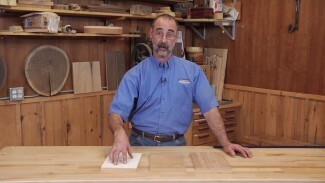 Make a set of blocks that match the thickness of your dado stack combinations. Place the closest undersized block next to your plywood shelf. 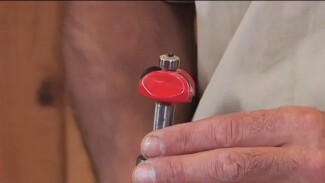 Set shims on top of the block until you establish the perfect fit for your dado. Then, install the dado stack and shims, and mill your dados perfectly the first time. After you’ve tried this, check back for more helpful shop tips!